Former Big Brother Naija housemate, Tobi Bakare, since leaving the competition which ended some months back, has been doing well for himself. Tobi, has been ensuring that he utilises the platform which gave him fame judiciously and that he is not ready to take for granted. 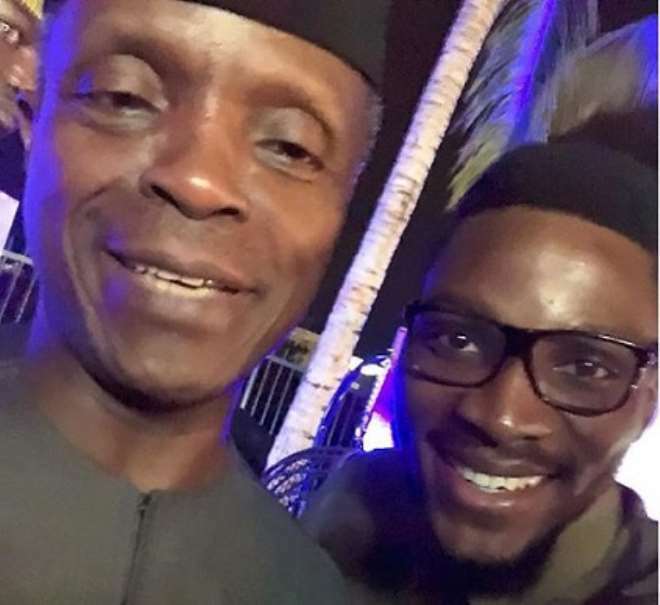 Not every Nigerians loved the reality TV show but the few who kept tabs with the event sure saw some potentials in some of the housemates just like Nigeria’s Vice President, Yemi Osinbajo. The Vice President who is always with tight security recently proved that he is a very simple man irrespective of his official position as he posed with the reality TV show star for a photo session.